You must have an existing Trade Me account to complete the instructions below. If you don't already have an account you can register for Trade Me here. Select Tools > Extensions from the menu bar of the main window. Click on the Listing Agent tab which will show a list of all available exporters. Click on Settings next to the Trade Me listing agent. Ensure the Status is set to On and select the Target Site as Trade Me. Next click on Connect Trade Me Account. A message will appear stating that you will need to authorise Motorcentral and that you will now be redirected to the Trade Me website. If you are not already logged into Trade Me you will be prompted to do so. Login using your Trade Me account details if necessary. Click Allow to ‘Allow Motorcentral to access your account’. A verification number will then appear. Copy (CTRL+C) and paste (CTRL+V) the entire number to the Trade Me Verifier Code field within Motorcentral and click OK.. 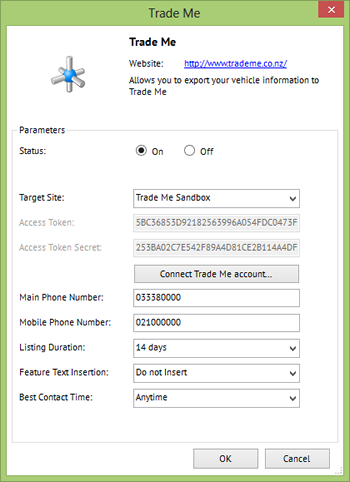 If you have correctly connected your Trade Me account a notification dialog will appear advising that the connection has been completed successfully. If you are unsuccessful please follow the instructions you are given next or contact our support team for further assistance. Next enter your Main Phone Number, Mobile Phone Number, Listing Duration, and your Best Contact Time. These values will be used on on all vehicles sent to Trade Me directly from Motorcentral. 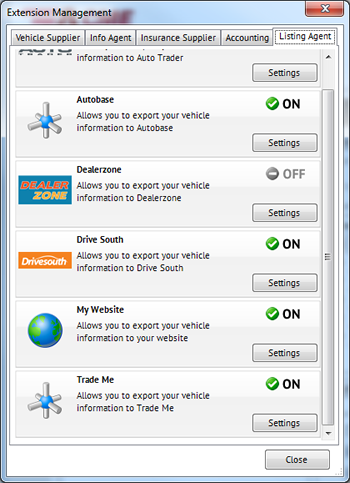 Finally enter the location you would like the Vehicle Features to appear on your Trade Me listing. Your options are above the Vehicle Comments, below the Vehicle Comments or not displayed at all. 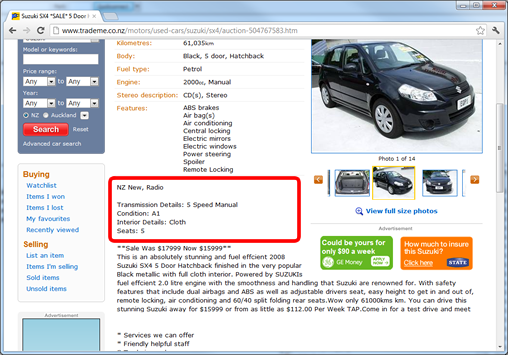 Example of a Trade Me listing with the Vehicle Features listed above the Vehicle Comments. 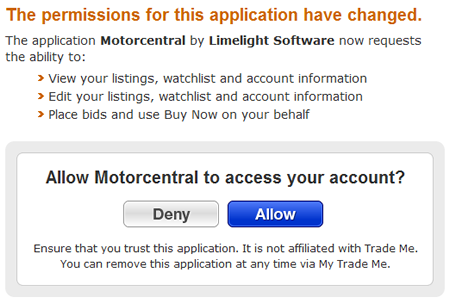 Motorcentral is now connected to your Trade Me account and you will be able to list, re-list and withdraw vehicles from Trade Me either as classifieds or auctions.